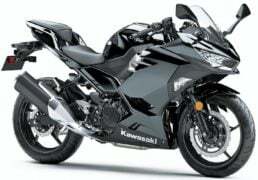 Kawasaki the renowned Japanese two-wheeler company, has come up with a replacement for the Ninja 300 supersports motorcycle. 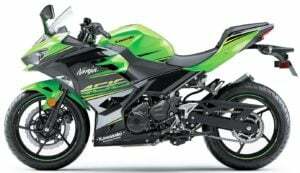 Yes, the Ninja 300 will go out of production owing to its incapability to meet the stricter emission norms. The performance-oriented motorcycle will be now succeeded by the all-new Kawasaki Ninja 400. The new Ninja 400 made its debut at the Tokyo Motor Show. The new motorcycle will launch in the Japanese Domestic Market and select European markets in the first quarter of 2018. There are good chances that the new 2018 Kawasaki Ninja 400 India launch will is in the offing. That said, the company is yet to make any sort of official announcements regarding its plans for India. The new 2018 Kawasaki Ninja 400 looks far more aggressive and sportier than the Ninja 300. This is because the new motorcycle takes many design cues from the Ninja H2 flagship. The new motorcycle also gets Kawasaki Racing Team colours along with 44 branding on the sides. Powering this new full-fairing motorcycle is a new 399cc parallel-twin engine that outputs a maximum power of 44.8 BHP along with a peak torque of 38 Nm. The peak power is significantly more if you compare it with the 39 BHP that the 300cc bike offered. What’s more, the new engine is almost 1 KG lighter than the quarter-litre powerplant of the Ninja 250. Finally, the new 400cc model has a kerb weight of 168 KGs, which makes it full 8 KGs lighter than the Ninja 300. The new motorcycle comes loaded to the brim with features that enhance the performance. The features list includes a slipper clutch, 41mm Kayaba front forks and Nissin ABS. The motorcycle also offers a digital instrument cluster that comes from the 650cc sibling. There are also some optional accessories in the form of a helmet lock, pillion seat cover, tank pad, and a 12V power outlet. The new motorcycle will be available in three colours- Metallic spark black, Ebony KRT edition and Lime Green. Of course, prices are likely to be higher. 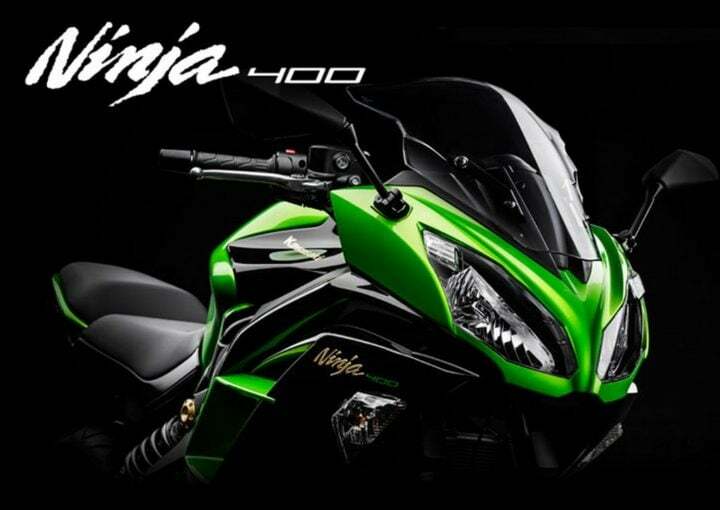 The Ninja 400 is not only more powerful but also offers more features than its predecessor. Hence, we expect the new model to have a slightly higher price tag. Chances are that the new 400cc supersports motorcycle will cost roughly Rs 50,000 more. This will take the ex-showroom price to roughly Rs 4 lakh. The Ninja 400 will launch in Japanese Domestic Market and certain European markets early next year. The new motorcycle will also launch in India but we don’t see it happening before the end of next year. Kawasaki India is yet to let out an official word regarding the launch date. However, we will be really happy if the company decides to bring its latest offering to the Auto Expo 2018. Fingers crossed! Powering the new Kawasaki Ninja 400 is a 399cc parallel-twin, liquid-cooled engine that outputs a maximum power of 45 BHP at 10,000 RPM and a peak torque of 39 Nm at 8,000 RPM. The new motorcycle is as much as 6 BHP more powerful than the Ninja 300. The engine comes mated to a six-speed manual transmission. THe new model offers a slipper clutch. The new motor is said to offer a stronger performance throughout the rev range. Other than this, the engine also offers more grunt in the lower rev range. The new 400cc Ninja comes with a larger airbox for higher intake efficiency. Braking is courtesy of 310 mm single-disc brake up front and a single-disc at the rear. The motorcycle also offers a Nissin-sourced ABS. 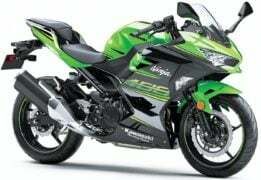 A glance is enough to note that the new 2018 Kawasaki Ninja 400 looks far sportier and more attractive than the Ninja 300. It takes several design cues from the H2, which makes the bike look more premium. The motorcycle gets a twin headlight setup with LED illumination. This makes the bike look sportier and more upmarket. Further making the bike look sportier is a chin spoiler located just below the twin LED headlamps. Complimenting the sleek headlamps is the ZX10R-inspired LED taillamp. Other than this, every body panel on the Ninja 400 is new and looks better sculpted than the ones on the Ninja 300. Akin to its predecessor, the fairing of the new model gets integrated front traffic indicators. The instrumentation is new and comes from the Ninja 650. The new motorcycle is built around a new steel trellis frame that makes the latest offering from Kawasaki as much as 6 KGs lighter than the 300cc variant. Tipping the scales at 168 KGs, this full-fairing motorcycle enjoys a significant weight advantage over its predecessor. The 400 gets a 14-litres fuel tank, which is smaller than the 17-litres that the 300 offered. The 41 mm Kayaba front forks have been carried over from the earlier model. There is a monoshock unit at the rear. The new Ninja 400 is more aerodynamic and offers sporty ergonomics. It has a seat height of 785mm. So, what’s your take on the new Ninja model? Are you waiting for the new 2018 Kawasaki Ninja 400 India launch to take place? Do you think this motorcycle would be a significant upgrade over the 300cc version? Share your views with us by penning them down in the comments section below. Also, watch this space for news updates on the launch date and price of the new Kawasaki Motorcycle for India.